The Kremlin at the center of Moscow is an outstanding historical and architectural monument that serves as a symbol for the whole Russia. 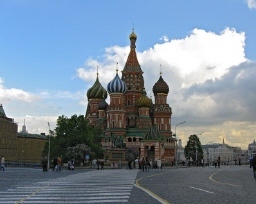 The Moscow Kremlin that originally was made of wood was mentioned in the chronicles in 1156 as "Moscow fortress". At that time it occupied only the south-western part of the Borovitsky Hill. St. Basil Cathedral is one of the most outstanding monuments of Old Russian architecture. In the 16th century the tourists admired the beauty of the cathedral, and for the Russians it became the symbol of native history and culture. St. Basil Cathedral is a symmetrical architectural ensemble consisting of eight chapels surrounding the ninth one. Red Square is a large open square in the center of Moscow. 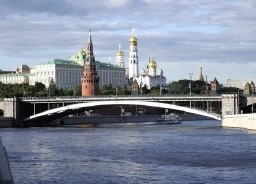 It is located in front of the Kremlin's western wall. The square is fenced in the State Historical Museum building, the GUM building, and St. Basil Cathedral. 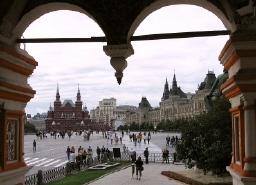 For many centuries Red Square has served as the place for important historical events. Red Square was founded at the end of the 15th century. 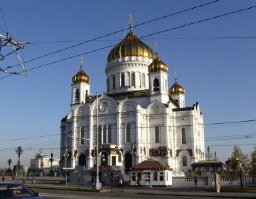 The main religious attraction of Moscow is the Cathedral of Christ the Savior. On December 25, 1812 Russian Emperor Alexander I signed an order, according to which it was supposed to build a temple dedicated to Russia's victory over Napoleon in Moscow. The new temple was to symbolize the feat of Russian people. The Novodevichy Convent, located in the south-west of Moscow, is an outstanding monument of architecture of the 16th-17th centuries. 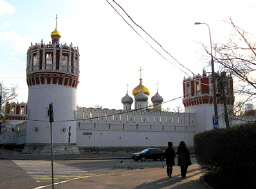 The most attractive construction of the Novodevichy Convent ensemble is the Smolensky Cathedral, or the Cathedral of Our Lady of Smolensk Icon. It was built at the same time when the convent was founded. The Poklonnaya Mountain is the flat hill in the western part of Moscow. Once the Poklonnaya Mountain was far beyond the borders of Moscow, and from its top one could see the city panorama. Travelers often climbed the mountain to see Moscow and to bow to the city. "Bow" is "poklon" in Russian, hence the name of the mountain. 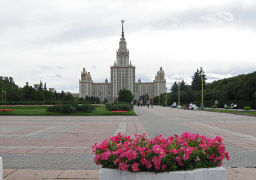 Moscow State University is the oldest in Russia. The University was founded in 1755. Outstanding Russian scientist and Encyclopaedist Mikhail Lomonosov did his best to make the University foundation possible. According to Lomonosov's plans, the three faculties were founded, which were Philosophical, Juridical, and Medicinal. The unique monument of the 18th century Kuskovo Estate used to be the summer residence of Sheremetyev Counts. The architectural ensemble of the estate had been formed by the middle of the 18th century. Magnificent constructions such as the Palace, Grotto, Hermitage, old church, and Italian and Dutch houses survived until nowadays. Ostankino Estate is one of the survived architectural monuments of the 18th century. First records of the estate date back to the middle of the 16th century when Ostankino was the place where the Shchelkalovis' estate with a small wooden church was located. In 1620 tsar Mikhail Fyodorovitch presented Ostankino to boyar I. Cherkassky. 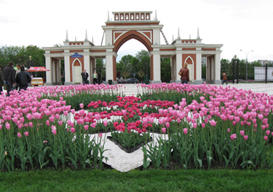 Architectural and park ensemble of Tsaritsino is a remarkable historical monument of the 18th-19th centuries. 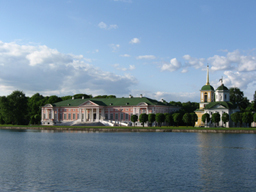 It was intended for the residence of Catherine II. 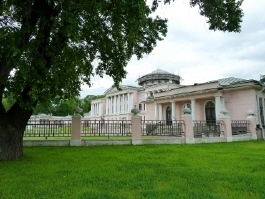 In 1993 the State Historical, Architectural, Artistic and Landscape Museum-Preserve Tsaritsyno was opened. It is the largest museum of such a kind in Moscow. Old village of Kolomenskoye situated in the southern part of Moscow is a unique place where the relics of Russian history were created and kept for centuries. 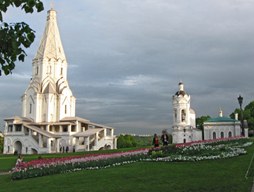 The complex of Kolomenskoye includes the Ascension Church, John the Baptist Decapitation Church in Diakovskoye, St. George temple with belfry, Our Lady of Kazan Church. 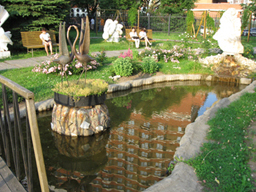 The Park of Arts Museon is situated in Krymskaya Embankment near the Central House of Artist. This is one of the open air museums of sculpture in Russia. The idea of a museum of sculpture appeared in 1991 when Moscow government decided to dismantle the monuments to Soviet leaders such as Stalin, Sverdlov, Dzerjinsky, Kalinin, and others. Russian abbreviation VDNH means "Exhibition of National Economy Achievements". Recently it was renamed the All-Russian Exhibition Center. 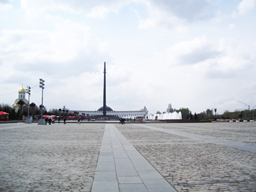 It is a very large complex containing exhibition halls, rest area, and a giant trade center. 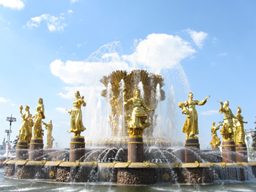 The All-Russian Exhibition Center is the most popular exhibition and fair complex of the country. 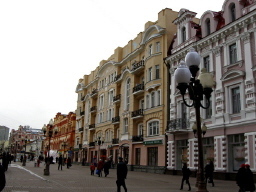 The Arbat located between Arbatskie Vorota Square and Smolenskaya Square is one of the most famous streets in Moscow. The Arbat is one of the symbols of old Moscow, which was celebrated in poems and songs. Today the Arbat is the name of a pedestrian street, but actually the Arbat is the whole district of Moscow that marked its 500th birthday in 1993.